So excited to introduce you to my next LEAN Accountability Coach, Catherine Combs! She is a working mom of 2 with a passion for health and wellness! She is a tiny ball of fire and always has the biggest smile on her face! She was a colligate athlete, study Kinesiology and Health promotion in collage and is living her best life through the LEAN lifestyle! I know my clients are going to love working with her and will feed off her daily positivity! Join me in welcoming Catherine to the LEAN TEAM! Hi! My name is Catherine Combs, and I could not be more excited to be on the LEAN team and part of such a life changing program created and led by the amazing, Amanda Nighbert. I am an executive assistant by day and spend the rest of my time with my two kids, Camden & Collins, our fur baby, Wrigley, and my husband, Clint. I was born and raised in Lexington, Kentucky, where I was involved in many sports, focusing on softball and cheerleading. I studied Kinesiology and Health promotion at the University of Kentucky where I was also a UK Cheerleader. After 2 years at UK I transferred and completed my degree in Sports Management at Midway College. While I always stayed active after college through various fitness classes and weight lifting, my passion for health and fitness only grew stronger after taking classes at Pure Barre to get fit for my wedding. I then became a certified instructor and taught classes for 4 years which also led to me being chosen as a lululemon Ambassador for my community. It was at Pure Barre where I met my fellow LEAN coach, Jamie Florence, who is my 5:30am workout buddy and simply someone who has become a dear friend who I have shared this passion with throughout the years. While I always enjoyed teaching classes and encouraging others to prioritize their health, at the same time I was not exactly putting mine first. Being so active growing up and also a college athlete, I was used to being able to eat whatever and whenever I wanted. I thought I was fit and healthy, jumping from one fad diet to another, when in reality I really never knew how to properly fuel my body without jumping on a diet bandwagon. After having my daughter, I was officially at my heaviest weight ever, and I had very little energy to do anything about it. That summer, I was inspired right away to finally put my own health and wellness first. Amanda has since then truly changed my life and my relationship with nutrition. 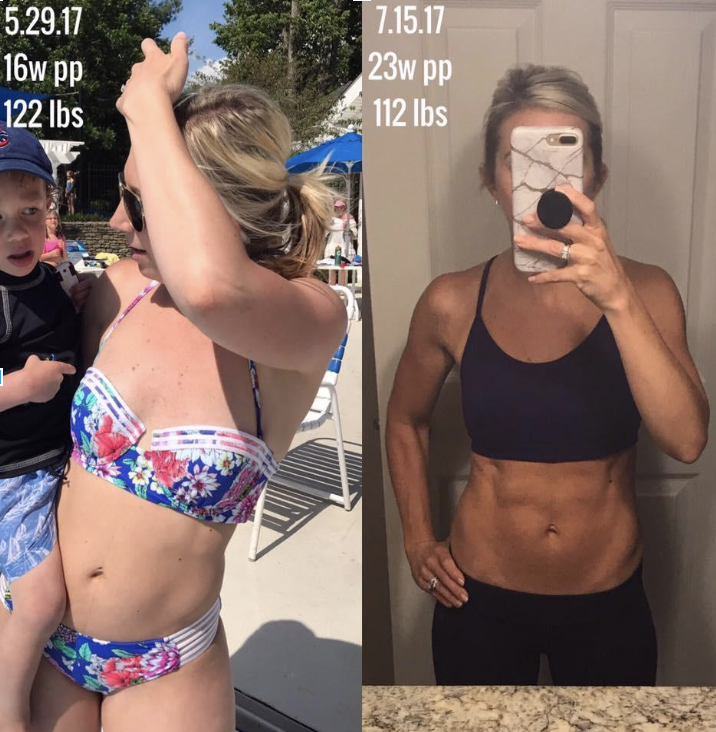 She taught me how to properly fuel my body in a way that was not a diet but a lifestyle I could actually implement and maintain as a mom of 2 kids under 2 years old, working full-time and nursing my daughter. I had an incredible amount of energy, felt stronger than ever, and I was in better shape than I had been as a college cheerleader! Fast forward two years, I no longer have a love-hate relationship with food because I have LEAN to keep me on track, the endless support and continuous education from Amanda, our incredible LEAN team of coaches, and all of you; the women (& men!) who are in this program inspire me to keep going. I am thrilled to have the opportunity to coach and encourage others on their nutrition and fitness journey by providing the tools in this program for lasting and sustainable results! Follow Catherine on Facebook Here! Follow Catherine on Instagram Here!